With fast-fashion on the rise in the UK, it is easy to forget the source of our clothes and the effect that unsustainable fashion can have on our planet, both socially and environmentally. Fashion Revolution Week is a global campaign from the 23rd-29th of April in memory of the Rana Plaza collapse, initiated by the Fashion Revolution movement (http://fashionrevolution.org/). It calls for a fairer, safer, cleaner, more transparent fashion industry with questions of ethics and sustainability at its centre. 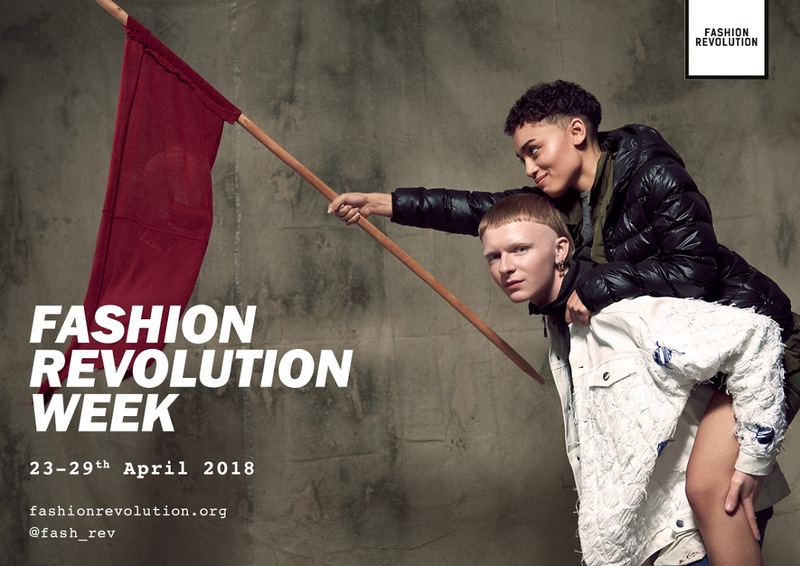 This year, Lancaster University student, Thea Nygaard, has teamed up with local textile activist, Victoria Frausin, to bring Fashion Revolution Week to Lancaster. With a week of events, film screenings, and an inter-University ‘Love Fashion’ campaign, the co-organisers hope to give the people of Lancaster an opportunity to engage with the world of fashion from our hub in the North. “We want to give people the chance to explore the fashion industry and show how we as individuals, as well as a collective, have the power to change it. With backing from the Pentland Centre we have worked hard to put on a week of events featuring a great line-up of guests. There is something for everyone, whether critic, curious or fashion revolutionist!”, explains Thea. Co-organiser Victoria is the coordinator of the Sewing Café Lancaster. She organised a one-day Fashion Revolution event for last year’s Fashion Revolution Week through the Sewing Café. When Thea got in touch, she had already begun planning a similar event for this year. After their first meeting the event grew organically into something much larger, now filling a whole week with different events. This year, ISSUE, Lancaster University’s Fashion Society, is also involved with various events throughout the week. President Amy De Robillard explained to SCAN, “As a society we couldn’t wait to get involved with Fashion Revolution Week as a way for us to make a positive impact on the fashion industry. With fast fashion having such a huge impact on our planet right now, I think it’s really important to take a step back, look at what we are doing through our self-indulgent consumption of clothes and actually try to make it more sustainable.” ISSUE will be helping to organise a film screening during the week. Freddy Kress is a Lancaster University student obtaining a double-degree, currently in her second half at Reutlingen University in Germany. She is a part of the Oikos chapter of Reutlingen University, an organisation with the intention of spreading knowledge about sustainability, especially within a business environment. 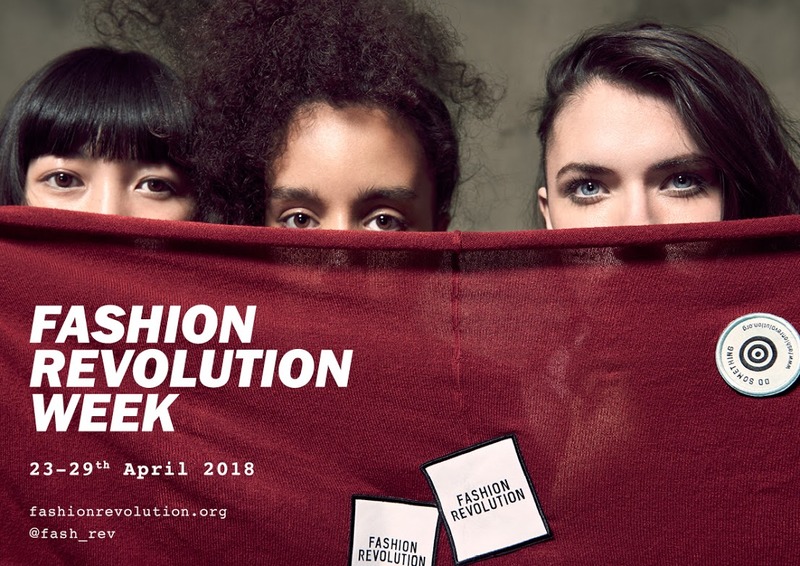 Oikos are also organising events for Fashion Revolution Week and, through a contact in common, Freddy has helped organise a collaboration between the two Universities. The result is the fashion ‘Love Story’ event, where people can share stories about their favourite piece of clothing on social media and paper notes. ISSUE will also be involved in the organisation of this event, ensuring that it is as visible and accessible as possible to Lancaster University students. Freddy explains “I truly believe in small changes making a huge difference in the world. Even if, with the events during Fashion Revolution Week, we can get just one single person to look at the label of the piece of clothing he or she is wearing that day and think about where it comes from and who might have made it – we made a small change. We made another person aware. And that’s what it’s all about: trying to make more and more people aware and have them not only rethink their relationship with clothes, but also, and perhaps more importantly, their own personal values. Often, when one becomes aware of their own values, they realise that their behaviour does not correlate. This is especially true regarding our behaviour towards the planet and the people living on it. Fashion Revolution Week is a very good start to spread awareness and maybe have this awareness develop in a value-rethink”.